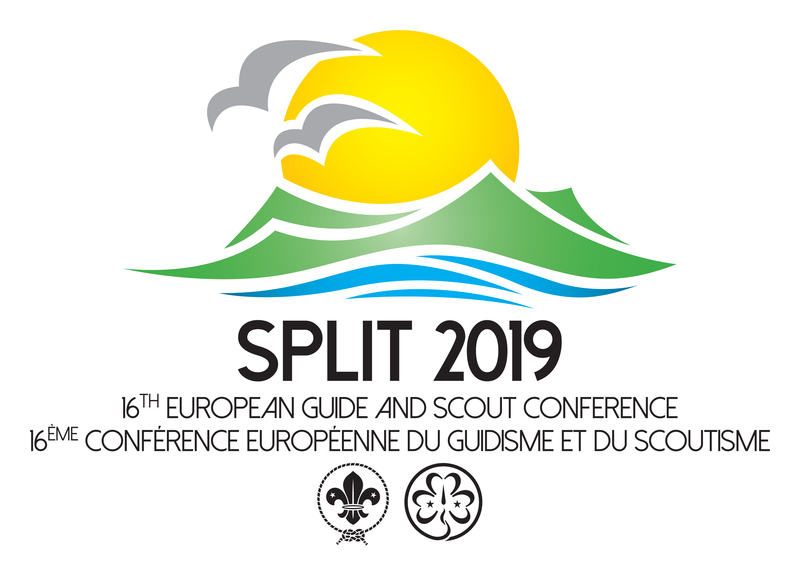 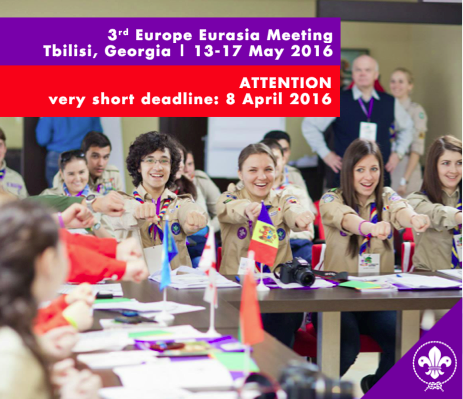 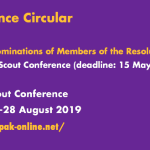 Further to our recent Regional Circular 8 2016 announcing the upcoming 3rd Europe-Eurasia Meeting in Tbilisi (GE) this coming May 2016, a Call for Participants and Registration Form for this meeting is now available on a special event website (bit.ly/1qdDKUW) set up by the hosting Eurasia Scout Region. 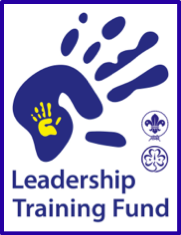 Please note the very short deadline for returning your applications: 8 April 2016. 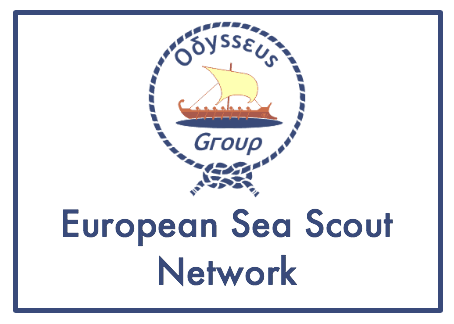 Both events are scheduled to take place in 2017 in Belgium (Partnerships Event) and Iceland (Youth Spokespersons Training), respectively. 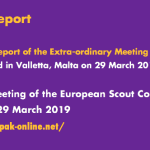 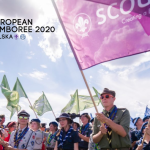 We are pleased to share with you the Auditor’s Report for the European Scout Region for the fiscal year that ended on 30 September 2015. 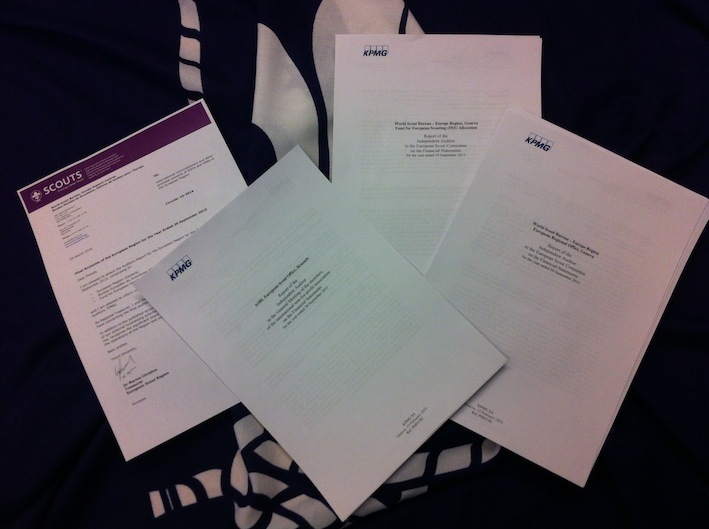 Our aditors, KPMG, did not signal any qualifications. 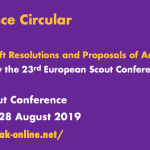 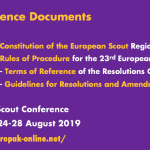 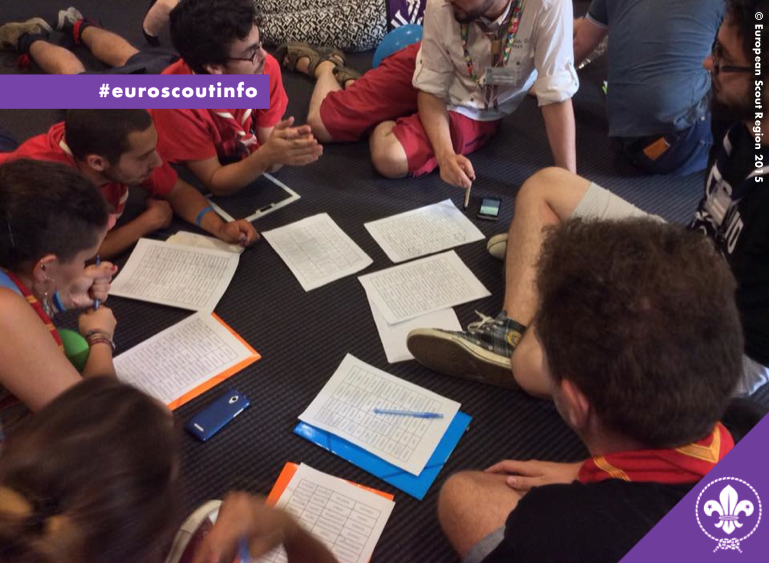 To continue the series of trainings and following the Scouting for All – Roundtable LGBTI – “Inclusion of LGBTI (lesbian-gay-bi-trans-intersex) in Scouting” organised in Brussels (Belgium), in June 2015, the European Scout Region of WOSM successfully applied to the Council of Europe – European Youth Foundation for the implementation of the Work Plan 2016. 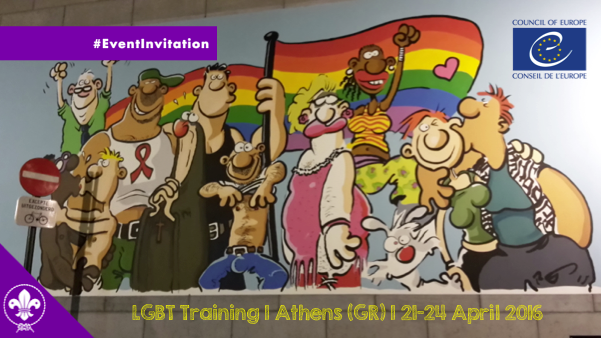 The aim of the project is to be more open towards welcoming all young people, with a specific focus towards LGBTIQ+ youth and provide them a safe environment. 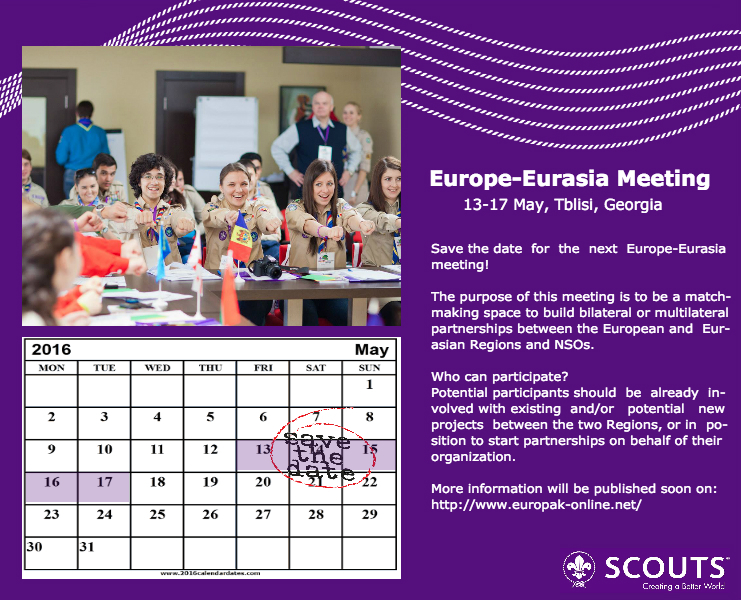 Don’t forget to save the date for the upcoming Europe-Eurasia Meeting, which will take place in Tbilisi (Georgia) between 13-17 May 2016.